It’s a typical morning at Andover High School—students calling to one another down the crowded hallways, procrastinators rushing to try and finish last night’s homework, and the occasional Batman, princess, or student clad in a blue spandex body suit meandering down the hallways. A freshman stands wide-eyed by his locker as he gazes at his peers going about their usual morning routine, pondering the possibility of forgetting it was Halloween. As the first bell of the day blares, he rubs his eyes, wondering if his late night of homework is already catching up to him. In his social studies class he is met by soccer uniforms, boys dressed in ties and khakis, girls in tiaras, and a boy in a Superman cape. He can’t comprehend why everyone is acting so casual—there’s a princess in the next seat over! Is this some kind of joke? No, it’s game day at AHS. Before every game, match, meet, competition, or performance, members of AHS teams and clubs dress up and participate in spirit days. 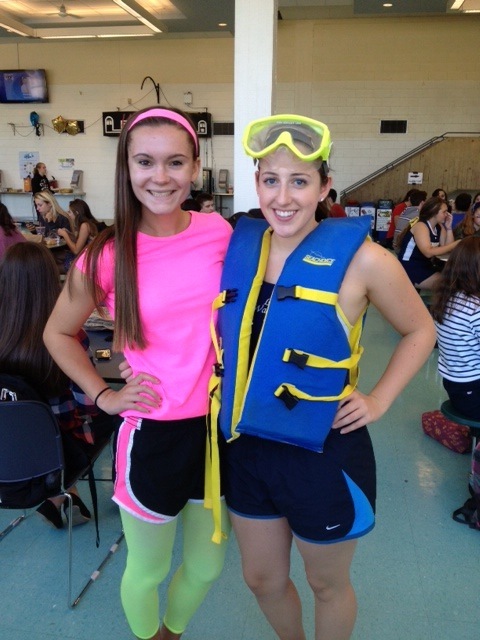 Spirit days allow students to be creative and express both their team and school pride. They help to promote team bonding and encourage people to get excited about their game or performance. 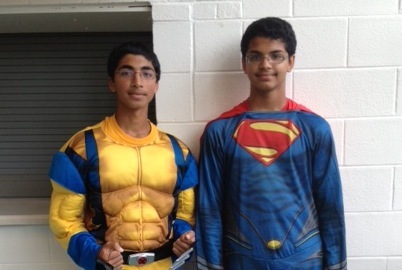 “Spirit days are awesome! I like how you get to dress up and be united with your team,” said Bridget Collins, who plays on the school’s volleyball team. Mr. Hibino, both a math teacher and coach of the girl’s tennis team, is in favor of these days as well. “When teams have a spirit day it drums up support and starts conversation from students and their teachers about their event and allows the team to get support and to draw a crowd out to their game,” said Hibino. Other groups, the marching band for example, enjoy trying new themes every year. “We did superhero day last year, but that was the first time we had done it,” explained Dean Smith, who has played in the percussion section of the marching band for three years. One might think that as students and athletes mature over the course of their four years at AHS they might not want to participate in these days—but this is the complete opposite. “If you’re a veteran in some sport or club, you’re expected to do it. You’re expected to show the new people,” said Smith, who is a junior. For Blue and Gold Day, the first spirit day for the marching band this year, Smith wore a blue spandex body suit in order to set an example for the freshmen in the band. The spirit days are usually chosen by the longest standing veterans of all—the seniors. Senior co-captains of the varsity cheerleading team Alivia Fazio and Darla Peterson mentioned how they create spirit days themselves.